Bring home the casual elegance of the California wine country with this beautiful, hand-crafted barrel stave True Fabrications wine basket. 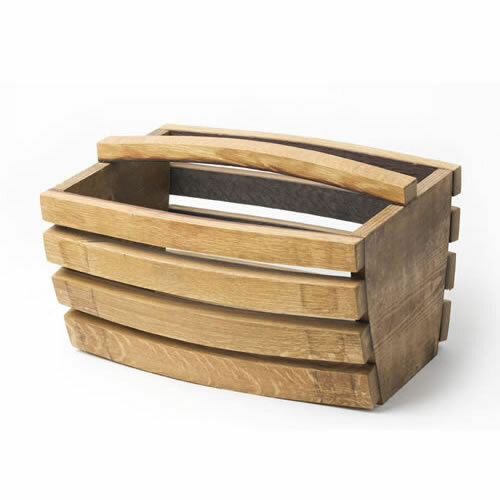 This basket has been carefully made from aged, wine-infused French oak barrels that have been used in wine production for 2-5 years. This wine basket is perfect to use for wine parings, as well as elegant dinner parties and special occasions. Take this caddy anywhere and bring the elegance to any party or it makes a perfect gift for a wine lover. Please note: This item cannot be shipped via the United States Postal Service at the time.